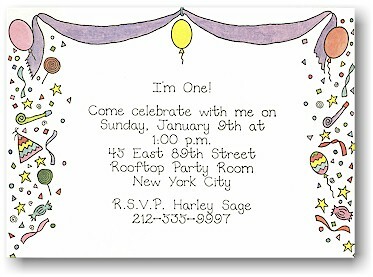 White flat card with party decorations in many colors. BMD101 shown. Choose any available typestyle. Black shown. Choose any available ink color. White flat card with colorful balloons and confetti. Can be used as an invitation as well.